A 20-year-old University of Nevada, Reno student who was caught on camera carrying torches alongside other white supremacists at a rally in Charlottesville, Virginia is backpedaling furiously now that his identity has been exposed. Seeing as the Charlottesville rally descended into chaos with mass violence, use of improvised weaponry and mace, a car attack which killed at least one and wounded dozens of others, and the crash of a police helicopter and deaths of two officers, Cvjetanovic probably isn’t going to be convincing anyone white nationalism is an ideology of peace. But a small but dedicated army of social media users and others have been hoping to force more of Cvjetanovic’s compatriots into the open, trading tips on exposing their identities and spreading photos of their unmasked faces as far as possible. Especially after the disastrous rally, there seems to be near-universal consensus in left-leaning circles this is the right thing to do. It may well be, but like any tactic, it brings with it its own risks. 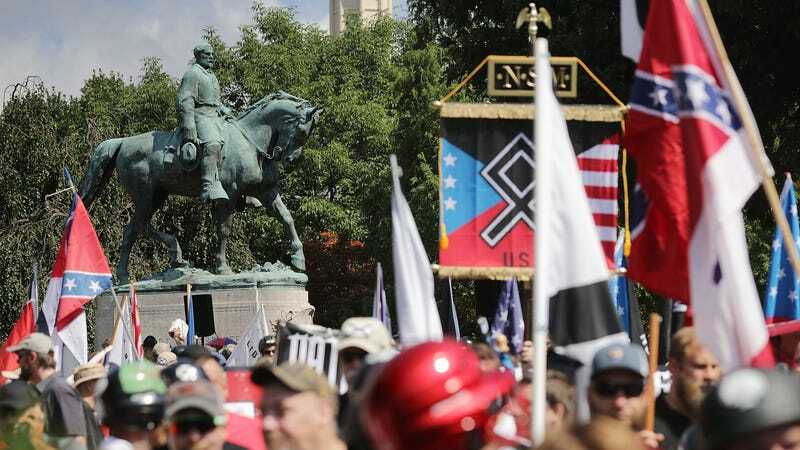 The movement seems to be linking photos to names and though they seem to have identified several of the actual neo-Nazis and white supremacists involved, there have already been high-profile cases of mistaken identity or missed context. One widely trafficked tweet, for example, got over 14,000 retweets and climbing after claiming to have outed dumb right-wing YouTube personality Joey Salads wearing a Nazi armband at the rally. The photo was indeed of Salads wearing a Nazi armband, not to exalt Adolf Hitler per se, but for the equally stupid purpose of trying to prove Donald Trump’s supporters aren’t racists. Another widely trafficked post from the same account identified the wrong white supremacist. In other posts, it inaccurately labeled a photo of a man being arrested as racist organizer Richard Spencer, as well as said it had got one alleged supremacist terminated from their job. It’s easy to see the appeal of doxxing. White supremacists have effectively weaponized the psuedo-anonymous nature of the internet to their advantage, organizing online and staging rallies far from home to offset the risk of their identities being exposed. They’ve also enjoyed near impunity from the actual authorities, who largely stood down in Charlottesville while attendees beat counter-protesters and marched around with weaponry. Hitting back on both fronts is a way to wipe the smile off their faces and force them to justify themselves directly. Though the primary concern by most users seems to be flagging the danger the supremacists poses to others, in some cases doxxing supremacists has also worked to bring them out of the movement. There’s also an obvious material difference between doxxing as a form of harassment and pulling the mask off of fascists. But when mistakes are made, it can help ruin an innocent person’s life, quick. In 2015, members of Anonymous compiled a list of supposed Ku Klux Klan members that was littered with fake or misleading information. Last year, innocent black gun owner Mark Hughes received thousands of death threats after being falsely accused of shooting over a dozen people at a Black Lives Matter protest in Dallas. And well before any suspect was announced, alt-right media personalities egged on a campaign to blame a random man they deemed an anti-Trump communist for the car attack in Charlottesville.